Emmy Visconti earned her Bachelors of Arts in Speech Pathology at Loyola University in Maryland. Dr. Visconti earned her Doctorate in Audiology at Towson University in Towson, Maryland. 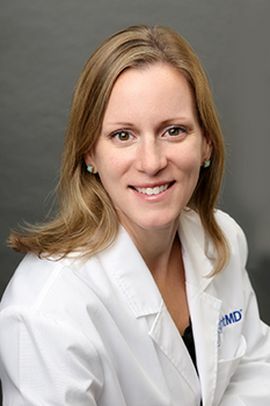 She completed her residency at Greater Baltimore Medical Center in Baltimore, Maryland. Dr. Visconti has trained and worked at two large hospitals, Greater Baltimore Medical Center and Union Memorial Hospital, both in Baltimore, Maryland. While there, she diagnosed infants and children with hearing loss, going on to provide hearing impaired children with cutting edge hearing aid technology. Additionally, Dr. Visconti spent 8 years working in a fast paced medical environment with otolaryngologists and audiologists, assisting in diagnosing and treating hearing loss in adults. She worked closely with those patients in order to fit appropriate amplification devices, following up in order to update technologies to work with patients changing lifestyles. Dr. Visconti is licensed by New York State in Audiology and hearing aid dispensing and is an active member of the American Academy of Audiology. Dr. Visconti has also supervised and trained graduate students throughout their doctoral residencies.